Gîte (110 sq.m.) built 1870, in hamlet of St-Jean, on outskirts of Rue going towards Quend-Fort-Mahon. Adjoins gîte no. 201117. Ground floor: fitted kitchen (fridge-freezer), dining room, lounge, separate WC, bathroom, bedroom (queen-size bed) with own shower room, WC. 1st floor: 2 attic bedrooms (2 single beds) (2 single beds, twin 80x200cm beds). Electric heating (extra charge). 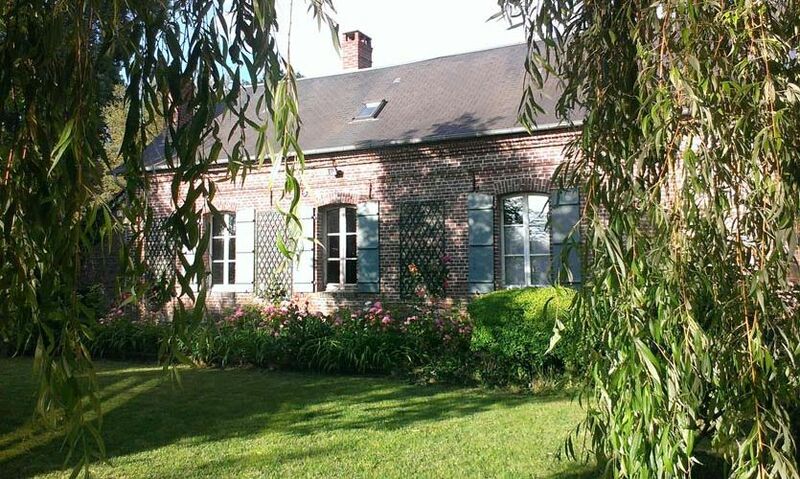 Private garden with parking area in front of gîte. At rear: shared unfenced garden with woodland and little stream (not fenced in). Mobile phone (card-operated) on request. Next to stud farm (Henson horses). 30 hectares of private fishing lakes (carp, white fish, fishing with bait, no kill).